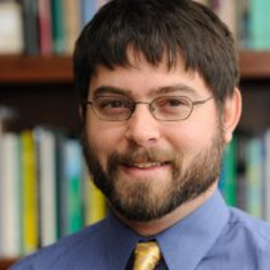 Christopher Mitchell is the Director of the Community Broadband Networks Initiative with the Institute for Local Self-Reliance (ILSR) in Minneapolis. Mitchell is a leading national expert on community networks and Internet access. Within his capacity at ILSR, he also serves as the policy director for Next Century Cities, a national collaboration of mayors and CIO’s seeking universal access to fast, affordable, and reliable Internet connections. On a day-to-day basis, Mitchell runs MuniNetworks.org, the comprehensive online clearinghouse of information about local government policies to improve Internet access. Their interactive community broadband network map tracks over 500 such networks. He also hosts podcasts, including Community Broadband Bits and Building Local Power. In 2015, the White House used Mitchell’s research as building blocks in a National Economic Council report encouraging community networks. He was honored as one of the 2012 Top 25 in Public Sector Technology by Government Technology, which honors the top “Doers, Drivers, and Dreamers” in the nation each year. That same year, the National Association of Telecommunications Officers and Advisors named ILSR the Broadband Organization of the Year.